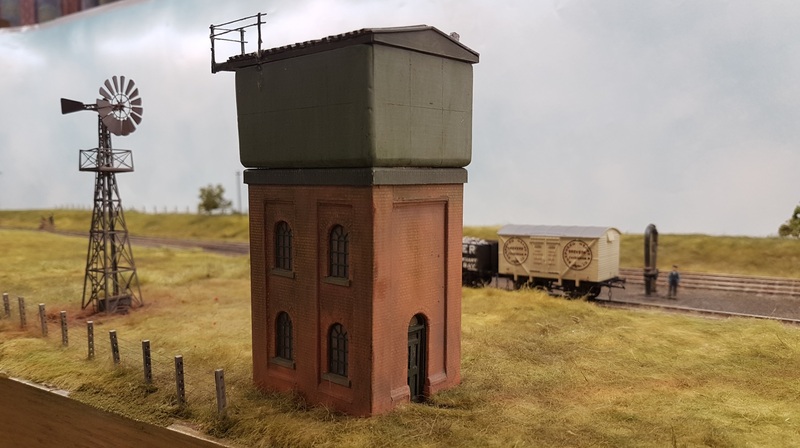 I thought that I wouldn’t have to do any shopping at the show, but a scenic stand produced a variety of grass tufts and other bits and pieces for my modules. Could have been worse, I guess…. 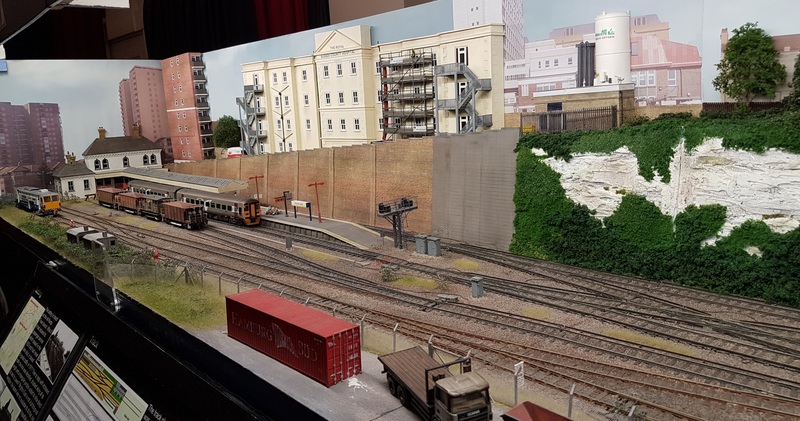 I’d seen Dave & Matt Smith’s EM Brighton East before, based on Kemp Town, but assuming that the branch had remained open. 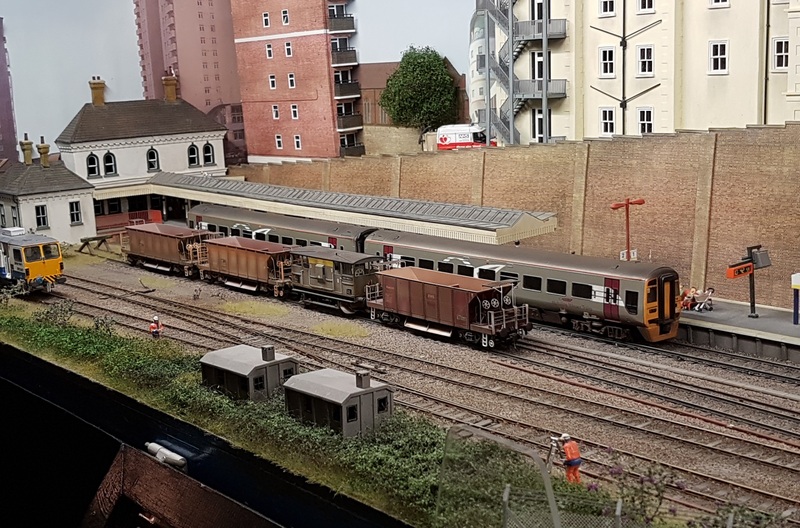 The background buildings are immediately identifiable as Brighton, and there is plenty of interesting modern stock on show. 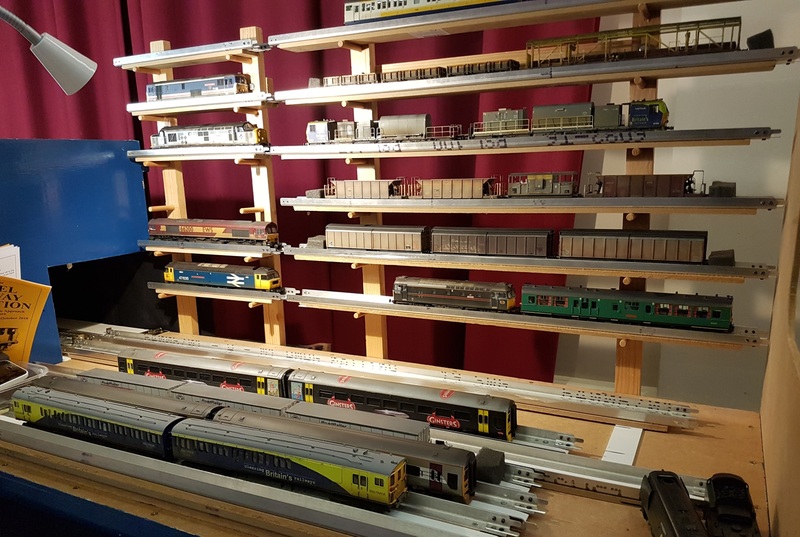 I wish I had the confidence to stack fiddle yard cassettes like that! 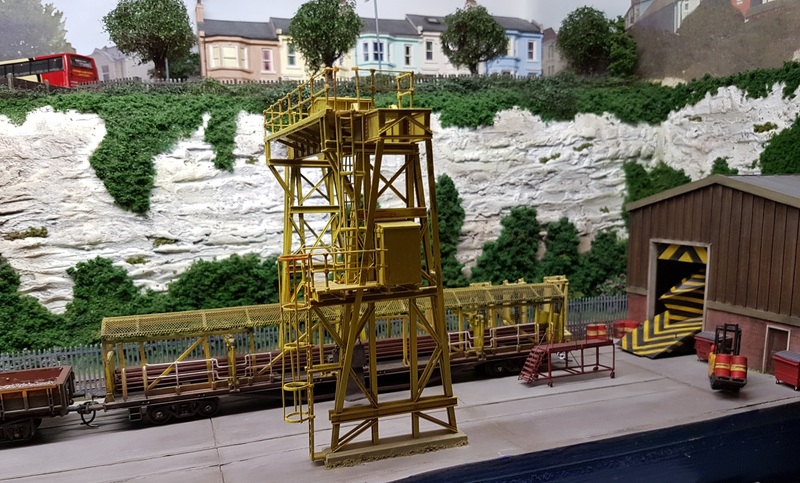 Adrian Colenutt’s P4 model of Leysdown models the terminus of the Sheppey Light Railway. Built by Colonel Stephens, it was taken over by the SECR, and then the Southern Railway, and survived till 1950. It’s all very simple, but easy on the eye. 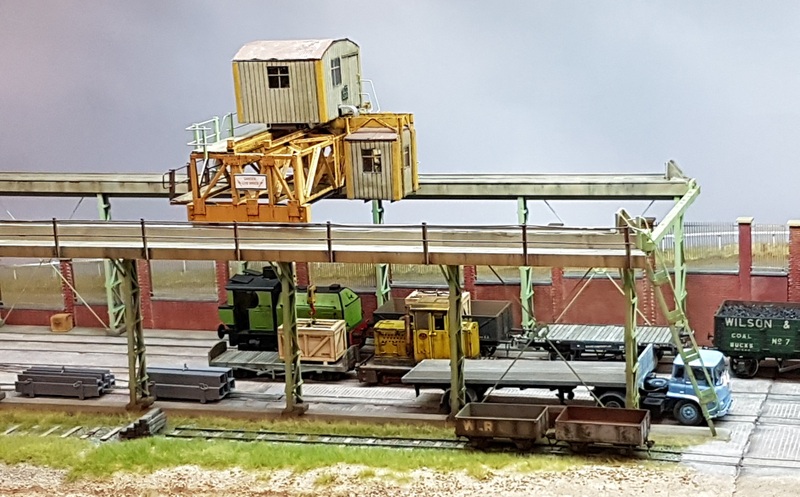 ‘The Yard’, mixing ‘O’ gauge and narrow gauge on 16.5mm track, has some interesting models, including the radio controlled lorry doing a 3-point turn across the tracks, and a working crane. 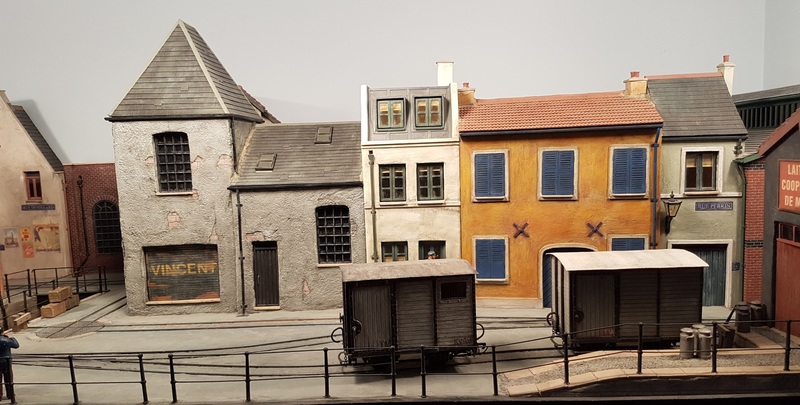 ‘St Pierre et la rue Perrin’ is in 1:34 scale, again on 16.5mm track, and models a 60cm narrow gauge line somewhere in deepest France. A street tramway, the line offers a chance to model some typically French buildings. More narrow gauge, but over to Ireland. 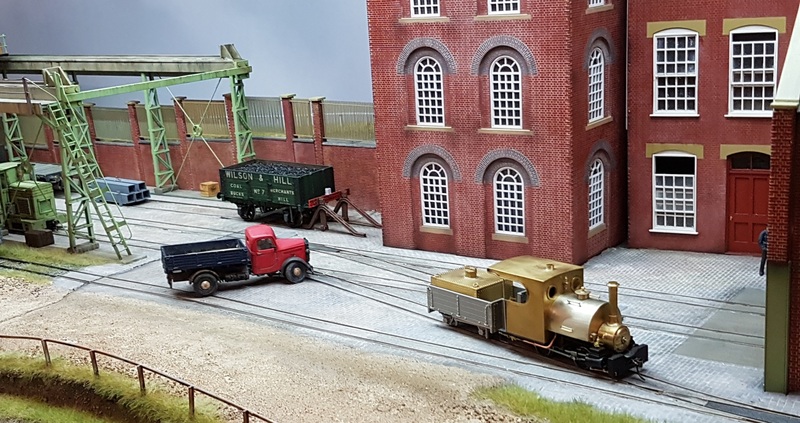 Dave Holman’s ‘Fintonagh’ is in 7mm scale, but with the accurate 21mm gauge track for the Irish narrow gauge. 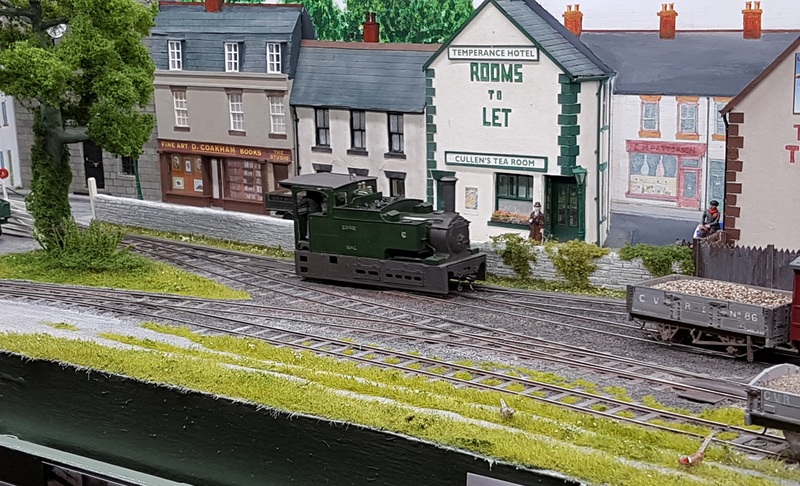 The model is an imaginary branch off the Clogher Valley Railway. 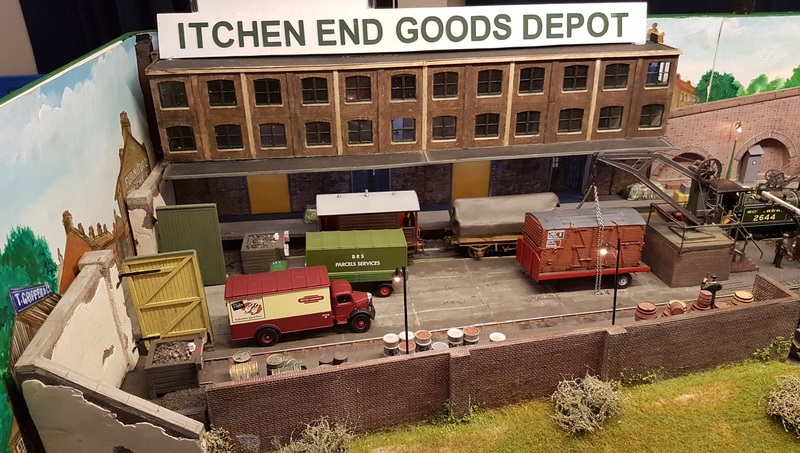 Itchen End Goods Depot, in ‘O’ gauge, has a doubtful name, but is a rather fine micro layout, modelling a little warehouse and goods yard. 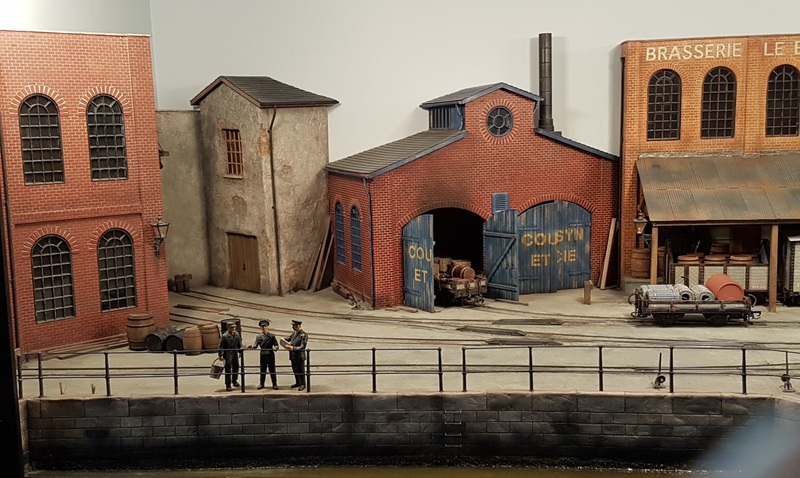 And finally, again with a light railway theme, is St Martins Wharf in ‘O’ gauge. Set somewhere in East Anglia, it again allows use of a range of stock well past its sell-by date. 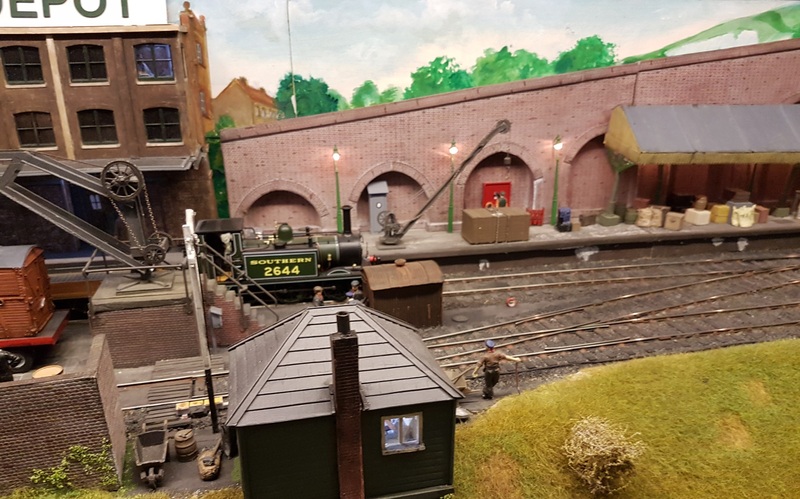 Once again, Uckfield proved to be an interesting little show, and I hope to be able to visit again next year. Reblogged this on sed30's Site.